Caption slip reads: "Photographer: Glickman. Date: 1951-08-30. Reporter: Glickman. 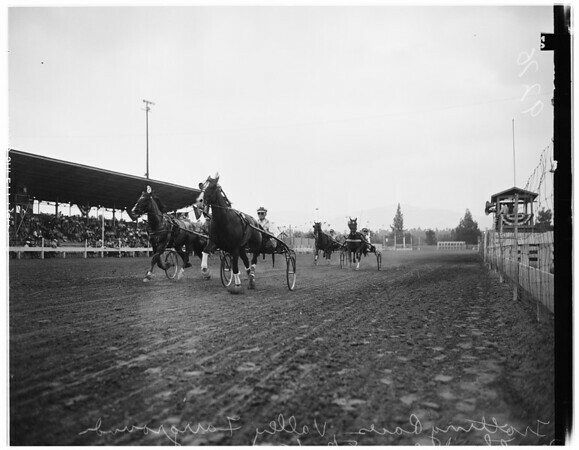 Assignment: Trotting races, Valley Fairgrounds, Northridge. Five shots of trotters in action."